This handsome newborn came in with his Cedar Rapids parents to be photographed before turning two weeks old. 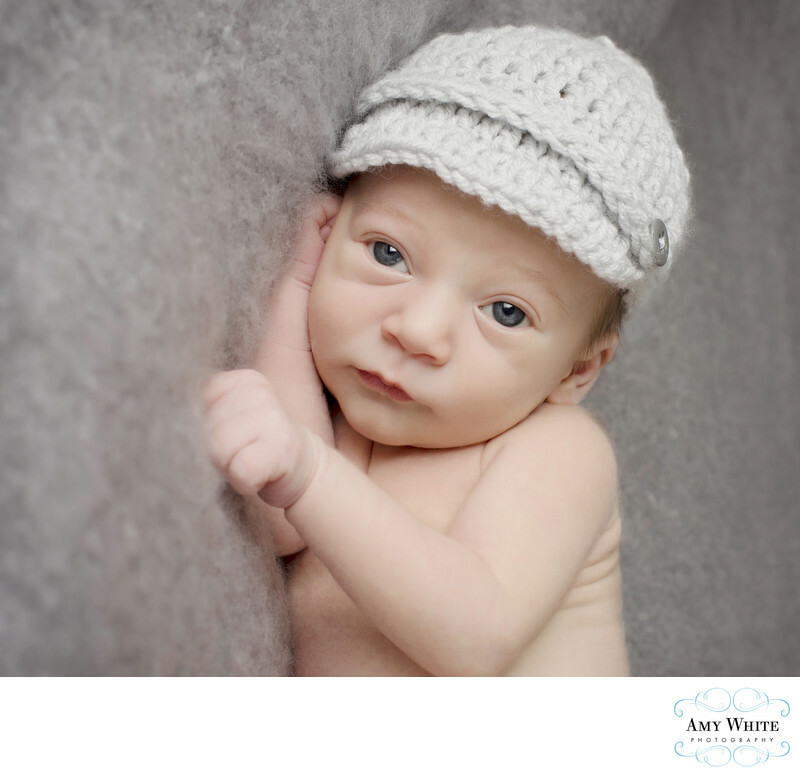 He was pretty sleepy for most of his photo session, but here Amy, Cedar Rapids photographer, was able to capture him with his beautiful blue eyes wide open. Wonder what he was thinking about?